If you are interested in the process of writing – the means by which we think of ideas, translate them into words, and record them as text – then this is a book you will not want to miss. Mike Sharples deals with some of the central paradoxes in this most intellectualised form of culture. For instance, he considers how writing is a demanding mental activity, yet some people appear to write easily; how it demands the constraints of grammar, yet creative writers break these rules; how most writing involves planning, yet it also makes use of ‘inspiration’ and chance discovery in the process of composition. These are conundrums to which he offers interesting solutions, based upon the central notion of the writer as a ‘creative designer’. He starts with the ways in which ideas and narratives are conceptualized before they are committed to paper. Then he pursues the notion of creativity acting to produce results which are intelligible and acceptable, because they are enacted within a series of cultural constraints. The very encouraging part of this analysis is that as he points out, creativity is not something rare, but is quite normal. There are qualitative differences in the results, to be sure, but most ordinary people can come up with ideas, given a problem. Next he deals with ‘Writing as design’ – which considers the physical context in which writing takes place, with some interesting comparisons between writing and and architectural design. He writes eloquently on the psychological pleasures of writing with a pencil – then goes on to compare the advantages of writing using different media – including word-processors. Given that he obviously wishes to get close to the writing process, it’s slightly surprising that he doesn’t examine author’s notebooks, manuscripts and revisions. There are plenty of examples (Henry James, Virginia Woolf) where we can get fairly close to the creative process – though he does at one point look at some of Wordsworth’s drafts of his poetry. A draft text is itself a plan for further writing and…composing a free and unconstrained draft and then organising this into a more coherent text is one successful approach to writing. On the process of composition he makes a brave attempt to deal with what constitutes good style, and practitioners of creative writing will be interested in what he says about how narratives are structured and developed. Dealing with the revision process, he encouragingly points out that writers are privileged in being able to revise their products so easily – unlike architects and sculptors for instance – and the advent of the word processor has made this process very easy indeed. He also observes that experienced writers usually revise their work at a structural as well as a surface level – whereas the less experienced merely make changes at word and sentence level. There are some interesting tips on making this process of revision easier – to which I would have added the best advice I have come across – edit in separate passes through the text for different purposes – because it’s less tiring than trying to keep several issues in mind at once. The various strategies of creative writing are discussed using the metaphors of planning, building, discovering, and exploring. These analogies are thought-provoking, but it is quotations from practising writers which bring the arguments to life. This actually becomes a consideration of the psychology of writing, and the often pathological connection between creativity and depression, anxiety, and even suicide. Next he deals with what he calls the materiality of the text – how it is printed and laid out. This involves choice of typeface, use of space, page layout, text decoration, and all the other aspects of what is printed and how it affects our interpretation of what we read. This is a quasi-marxist form of interpretation which considers the relationship between writing and the society in which it is produced and read. He invokes the Russian formalist Bahktin and post-Structuralist literary theorists to argue that texts may not have fixed meanings, and that writers negotiate (even if unconsciously) with the cultural and moral frameworks of the societies in which they live. A penultimate chapter on the various forms of collaborative writing will be of interest to those concerned with scientific writing – one of the few areas in which it is still regularly practised. And he ends, logically enough, with the new possibilities opened up by the digitization of text and electronic writing. Apart from writing for the Web, this involves the possibilities of hypertext fiction, writing in MOOs, and voice recognition as possible spurs to creativity. The writing is fluent and accessible throughout. This is a humane and thought-provoking book which operates successfully at a number of levels. 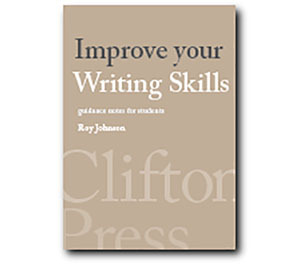 It offers wise counsel to aspiring writers; fresh approaches to the more experienced; and even new paths to be explored for those in academic research studying the relationship between thinking and its presentation as the written word.